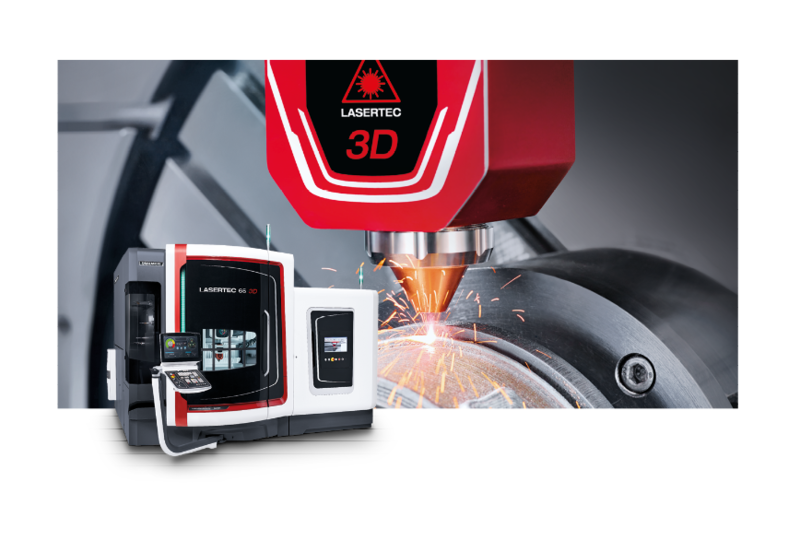 With the LASERTEC 65 3D hybrid, DMG MORI has integrated the generative laser deposition process in a fully-fledged 5-axis milling machine. The LASERTEC 4300 3D hybrid combines the procedure with the turn-mill equipment in a large work area of ø 660 x 1,500 mm. These intelligent hybrid solutions combine the flexibility of additive manufacturing with the precision of machining, thus enabling the manufacture of complete components in finished part quality. This laser deposition process uses a deposition process by means of a metal powder nozzle, which enables complete machining without the need of a process chamber and is up to 1 times faster than generation in a powder bed. This is beneficial, as the trend is often towards increasingly individual manufacturing.